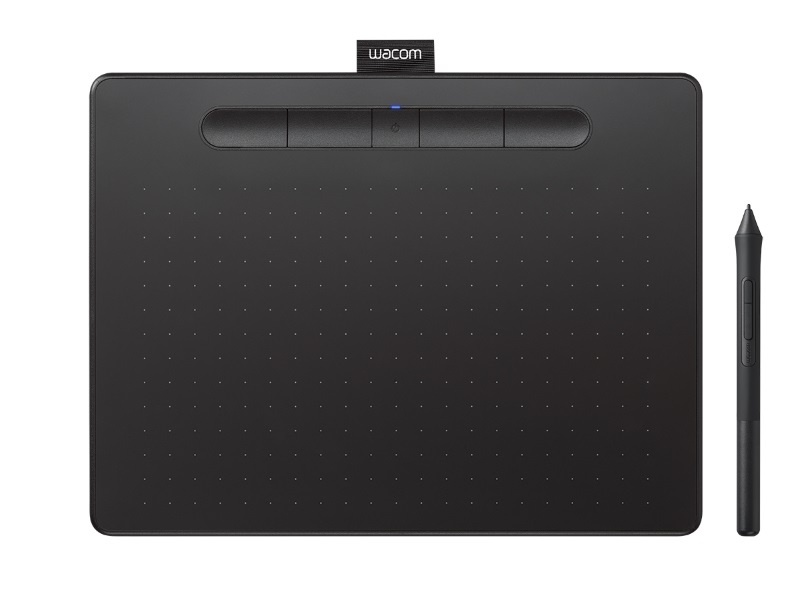 Whatever you like to create, the Wacom Intuos drawing pad can help you find new ways to draw, paint and edit your photos, whether you're a beginner or if you used a drawing board before. 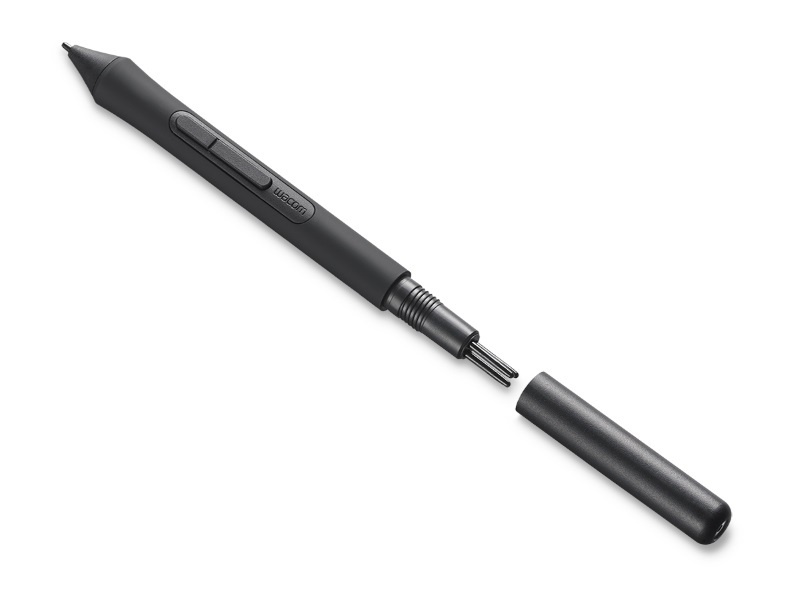 The 4096-pressure-sensitive pen, along with the thin plate, is designed to work for both left and right handed users. It has an ergonomic design for ease of use and comfort and acts as mice in other applications in the computer. It's easy to get started: Connect the drawing board to your Mac or PC via USB, download and install the driver, register your product and get started. With online guides and downloadable creative software * you can start creating directly. 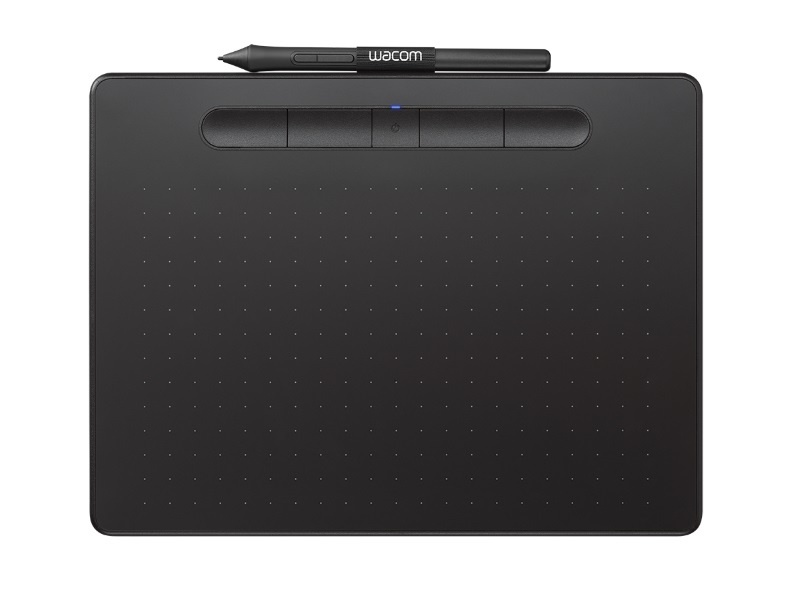 * To access your free creative software, you must log in or create a Wacom ID at www.wacom.com and register your Wacom Intuos. Make sure you choose Europe region. 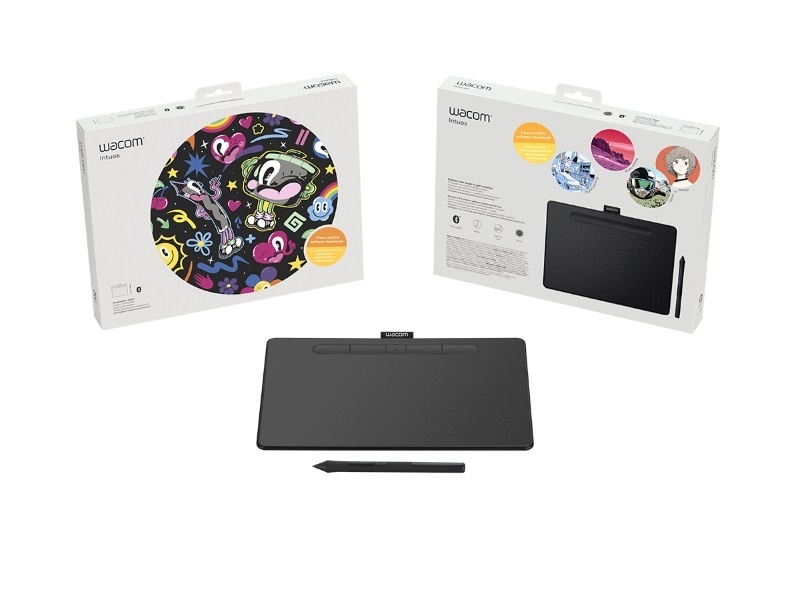 Thin and light drawing pad that takes up little space on the desk and easy to carry.